March 28 and 29 are scheduled for the 2012 graduation rites in all schools in the Philippines as per order number 9, series of 2012 of the Department of Education issued on January 27, 2012. In line with this order, the Schools Division Superintendent of La Carlota City, Juliet A. Jeruta has issued a statement of her graduation message. A part of it says that she's inviting all the graduates of the 24 elementary public schools to share what they've learned from their basic education, especially the "right attitude for nation building." Well, in my school, Cubay Elementary School, I've thirty-four Grade 6 pupils who are so excited to have their closing exercises on the afternoon of March 28. They've manifested mixed feelings of excitement, joy and sadness. Miss Jema Bajala, their English CES teacher, has required them to write a short composition of their feelings or reactions on their forthcoming graduation. "I feel sad because I will miss my classmates. They've been a part of me. Without them, I'm nothing," expressed Paula Bianca B. Bravo. "I will miss our classroom because it is very memorable for us," relayed James P. Cabrera. "I'm sad because I'll not be meeting my classmates, teachers, and especially our beloved principal," deplored Xavier Jan Cahilig. "I'm happy because my parents will give me a gift," shared Aljon C. Bajala. "I'm very happy. 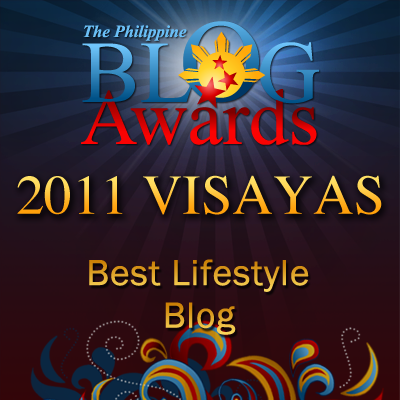 I'm going to General Santos City," pointed out Adrian Kier Abkilan. "My family is happy for me when I will graduate. During vacation, I'm going to work to help my family and donate some money to the school," told Rea Mae D. Lagana. "We're sad because we miss playing badminton, volleyball, baseball," declared Jonalie P. Quimpo. "I'm sad because I can't see my friends, teachers, and especially my principal. I miss Ma'm Salazar because I learn a good attitude from her," asserted Clarice M. Janson. "I like to invite my friends in my house and serve them food in our graduation," informed Jefferson T. Solis. 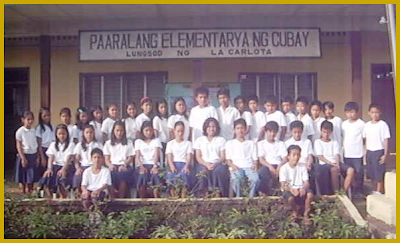 My years in grade schools were among the most memorable ones. They were even better than my high school years. Kayo po ba ang principal ng Cubay Elementary School? Yes, I'm the school principal of Cubay Elementary School. It's good to hear from you and I'm thankful that through this you're able to recall all those memorable years in your elementary days. Again thank you for dropping by.